BOSU® – Dynamic Duo Inc.
Far beyond balance training, trainers with all levels of experience will benefit from this next generation balance training course based on the theory and science of neuromotor training and an updated BOSU® Exercise Library. It is a BOSU® U requirement for all participants. Take the versatility of BOSU® Training to a whole new level! In this four-hour course you will learn the next generation of theory and science behind neuromotor training, and apply it to programming that is practical and fun. 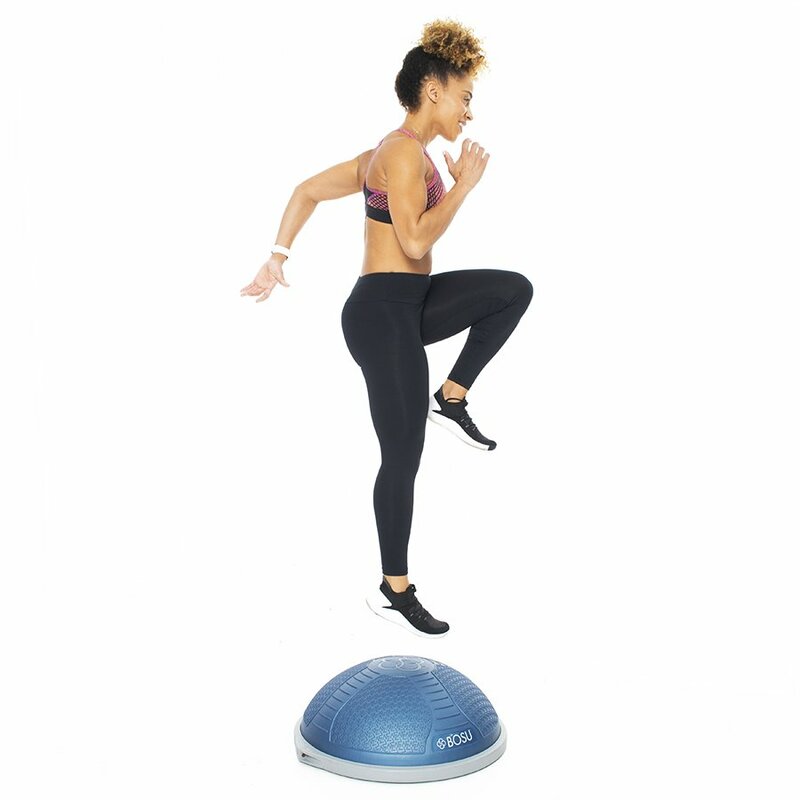 You will experience new methods to enhance movement techniques, and create exciting workouts with the BOSU® Balance Trainer using the newly updated BOSU® Exercise Library and methodology. After completing the BOSU® Next Generation Balance Training course, you are qualified to take BOSU® Specialty Courses. Cater to your clients' needs by choosing courses that will enhance your skills and your value. In this evolved body weight training workshop, explore multi-dimensional methods to effectively create a stronger body and improve mobility and core function. Utilizing the unique features of the BOSU® Balance Trainer and the principles of fascial line training, you will cultivate mindful awareness while learning and integrating movement complexes with breathing techniques that activate the core and enhance the quality of every movement. Elevate your BOSU® programming strategies and increase your value as a fitness professional. Experience dozens of new exercises, skills, drills and sequences, and learn how to create effective and exciting workouts with three unique templates that are designed to make BOSU® training more successful in your club, classes and training sessions.